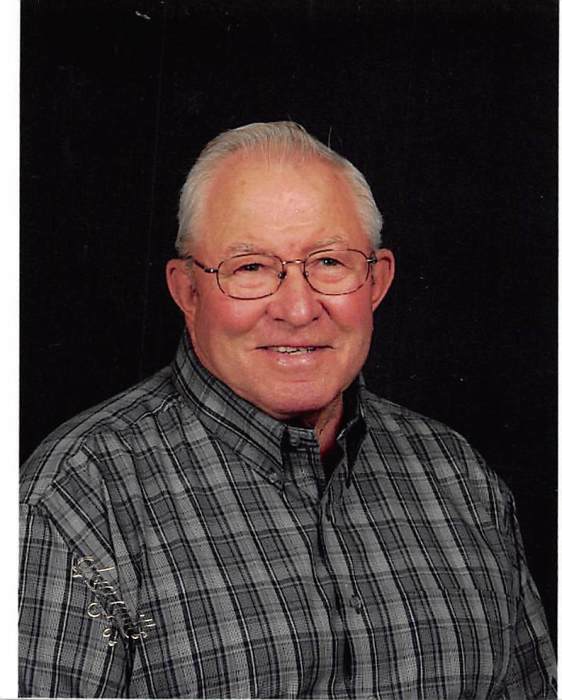 Funeral services for Clarence F. Beenken of Albert Lea, MN, will be held at 11:00 AM Tuesday, March 20, 2018 at the East Freeborn Lutheran Church. Pastor Matthew Griggs will officiate. Visitation will be held Monday evening from 4 until 7 PM at the Bonnerup Funeral Service and one hour prior to the service at the church. Interment will be in the East Freeborn Cemetery. Military honors will be accorded by the Albert Lea Area Veterans Group. Clarence died Friday, March 16, 2018 at St John’s Lutheran Home in Albert Lea. He was 88 years of age. Clarence was born December 9, 1929 in Rake Iowa the son of Hans and Anna (Bruns) Beenken. He graduated from Titonka High School in 1947 and served in the US Army during the Korean conflict from 1951 thru 1953. On November 24, 1956 he was united in marriage to Janan Hellie at the East Freeborn Lutheran Church. Clarence was a farmer all his life first in Wesley, Iowa until 1970 when they moved to rural Albert Lea. He retired in 2005 and moved to Albert Lea. He was an active member of the East Freeborn Lutheran Church serving as a Deacon. He was also a member of the American Legion Post 56, the V.F.W. and the Elks Club. In his free time Clarence enjoyed bowling, golf (had a hole in one! ), traveling with his wife throughout the United States, Alaska, Hawaii and Europe, trips down the Mississippi with grandchildren and going to Cutty’s in Okoboji, Iowa for over 30 years. Clarence is survived by his wife Janan of Albert Lea, MN, children Thomas (fiancé Deanna) of Clarks Grove, MN, Carole (Randy) Jenson of Rochester, MN, James (Tammy) of Geneva, MN, Michael (Julie) of Clarks Grove, MN. There are 12 grandchildren; Tina (Bill) Pannkuk, Jeremy (Becky) Beenken, Lori (Scott) Ranney, Mary (Troy) Thompson, Nicholas (Roxanne) Jenson, Janna (Jeff) Johnson, Jennifer Jenson (Pete Hoffman), Alex Beenken, Jady Beenken, Kiley Beenken, Emily Beenken and Brady Beenken. Also surviving are 11 great grandchildren, sister Harriet (Merlyn) Thompson, brothers Orville (Jean) Beenken, Arthur (Marlene) Beenken, Leroy Beenken, Duane Beenken, sisters in law Linda (James) Stahly, Margaret Beenken and many nieces and nephews. He was preceded in death by his parents, brothers Irvin (Orpha) Beenken, Kenneth Beenken, sister Helen (George) Schmidt, Father and Mother in law Vernon and Ellen Hellie. Blessed be his memory.